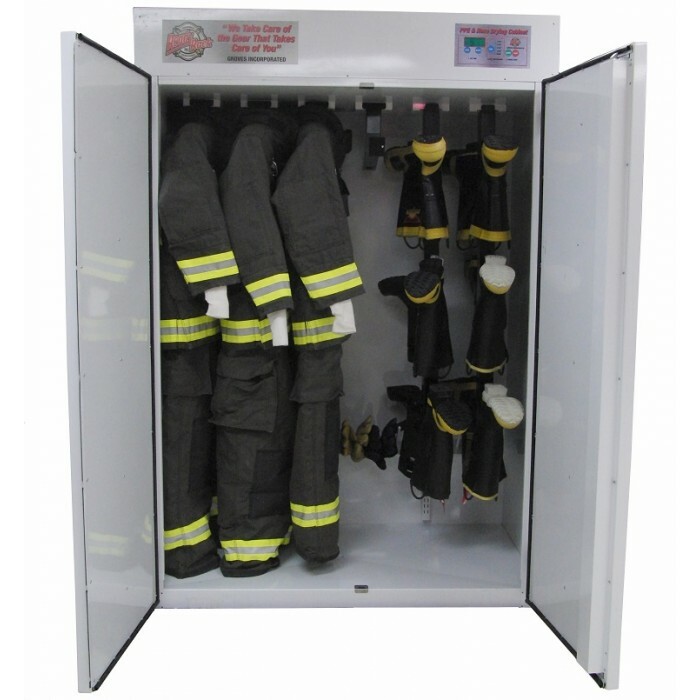 The Ready Rack Fire-Station PPE/Hose Drying Cabinet is manufactured with the highest quality materials, and is designed for ease of use and long-lasting durability. 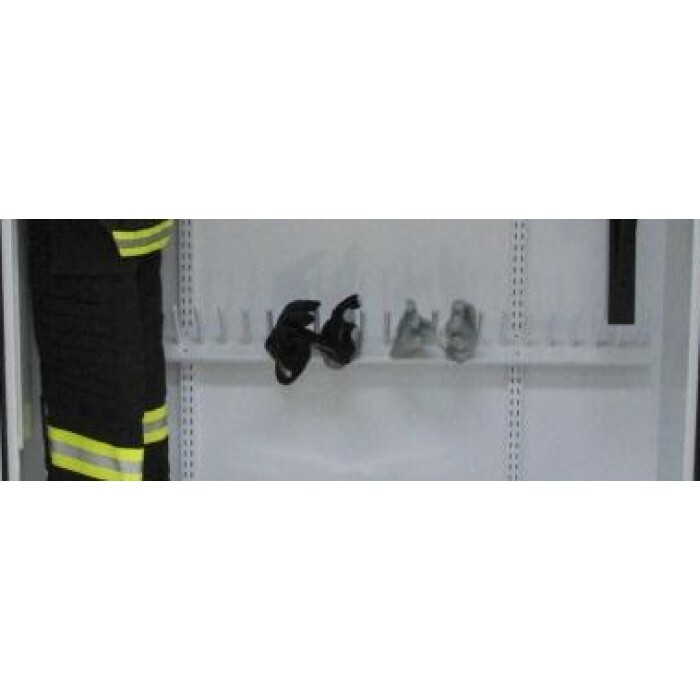 The design offers wide flexibility to both warm & dry a variety of items in the fire station environment, with a focus on the need to dry items that cannot be dried using a traditional tumble action dryer. 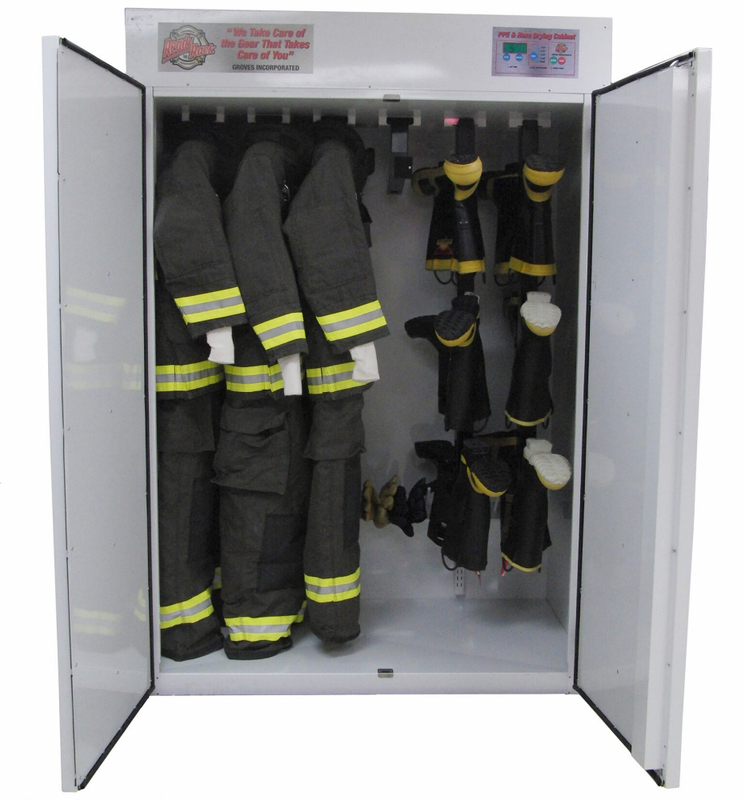 Custom built to dry firefighter turnout gear (PPE) and to dry hoses. 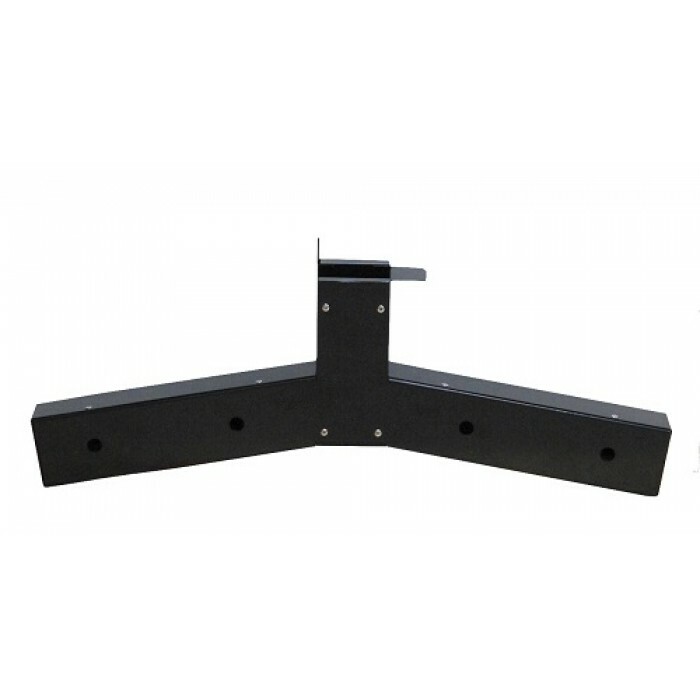 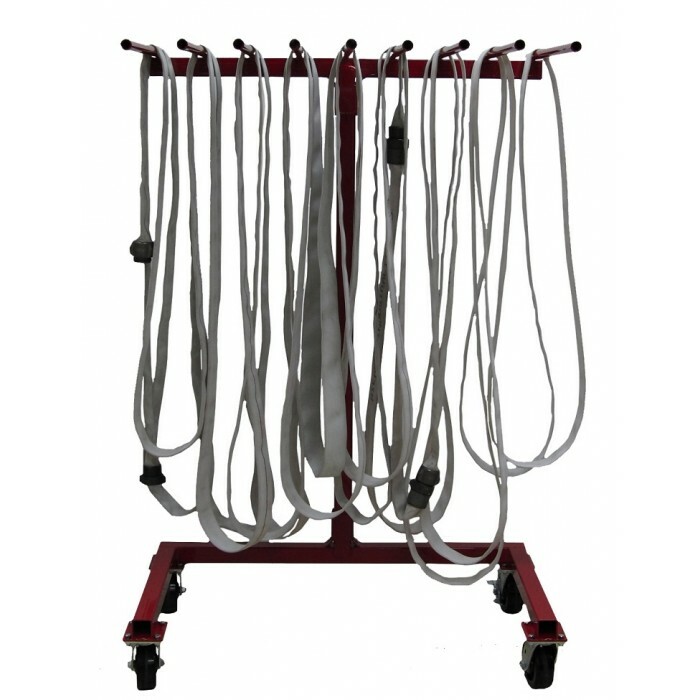 Made from heavy-duty steel construction with a white powder coat finish. 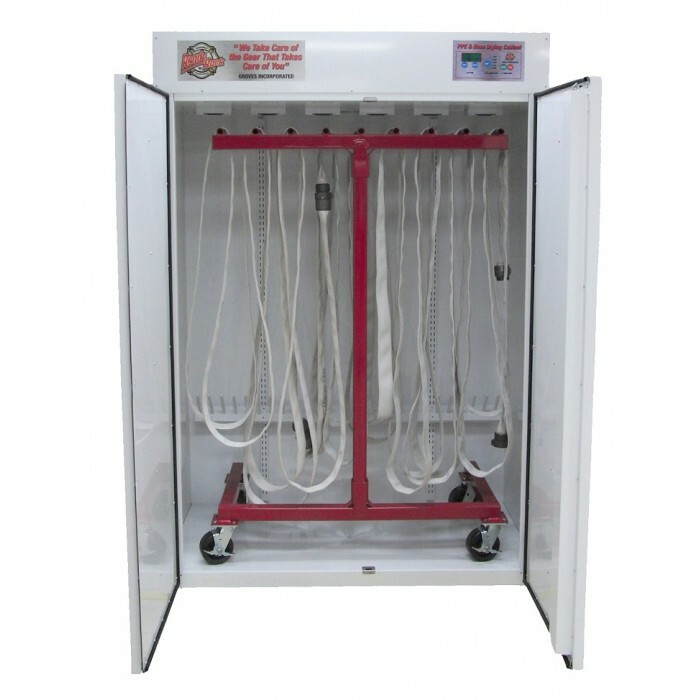 The control panel displays and controls temperature and run times. 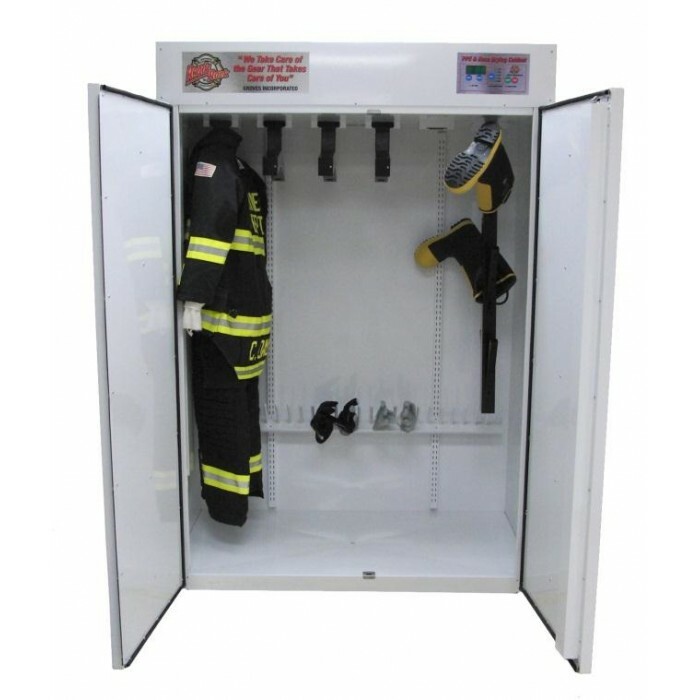 Simple controls with five factory preset temperatures ensure proper drying temperature for each unique clothing or turnout item. 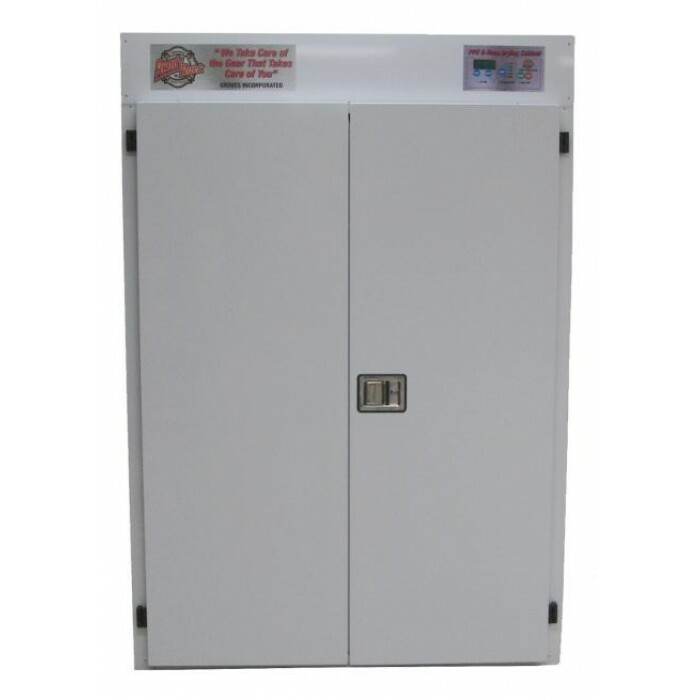 The control panel also displays the run time remaining when the unit is in operation. 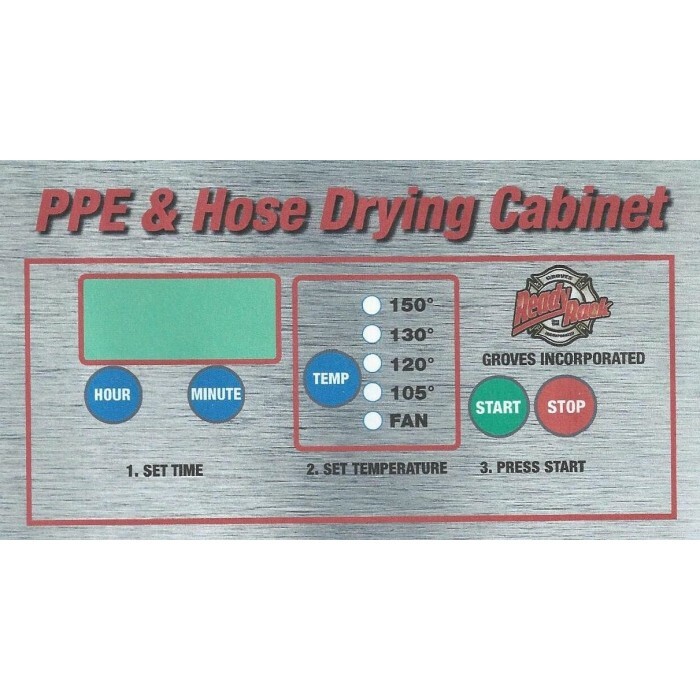 Alarm sounds when drying time is complete indicating cabinet to be in cool mode. 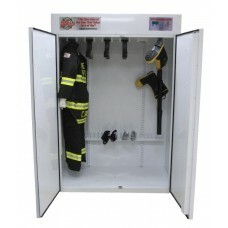 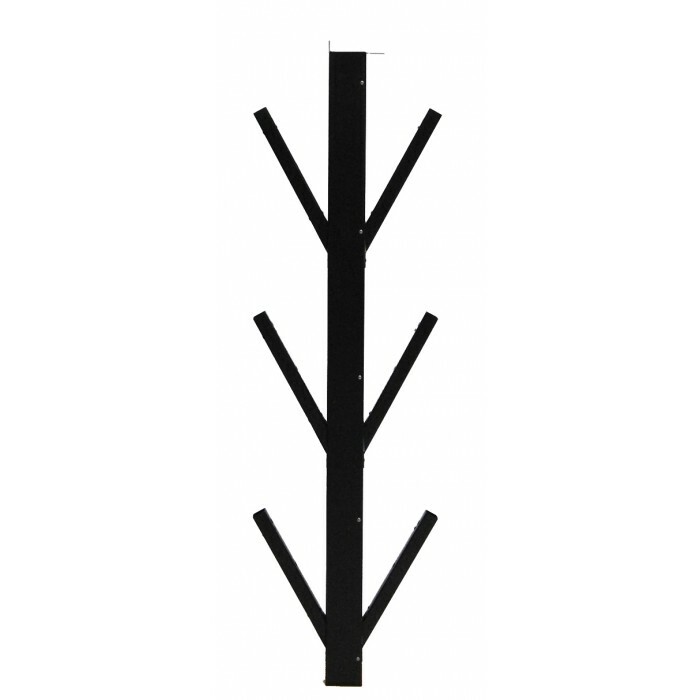 Standard accessories included: (4) PPE hangers, (2) boot hangers, (1) glove rack which holds 26 gloves. 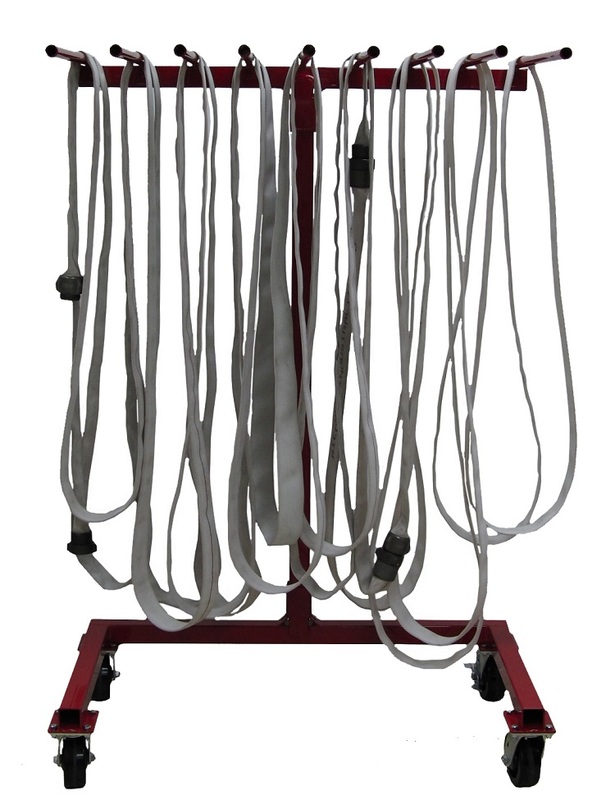 Additional quantities are available as options.